BRYAN EATON/Staff photo. Newburyport Tree Committee put in some new trees behind the Nock Middle School. 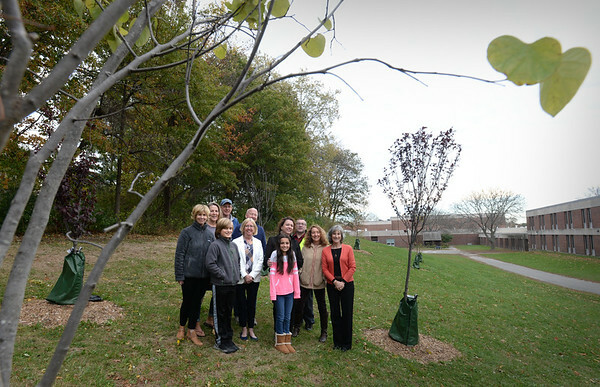 Gathering for a photograph were tree members and school officials, Colin Klapes, Lexi Klapes, Lisa Furlong, Connie Preston, Susan Viccaro, Tara Rossi, Sue Brown, Angela Bik, Steve Bergholm, Dave Dylewski and Wayne Amaral.